Well, it’s not quite summer yet, but I’m enjoying the glorious weather here in Toronto. Yesterday, the Hubby, sister, sister-in-law and some friends went to Barbados on the Water at Harbourfront Centre. For anyone who’s not in Toronto, Harbourfront Centre is an outdoor community/entertainment space by Lake Ontario that showcases a number of different cultural events throughout the summer. BOTW was the first of many weekends of fun, music and food… and booths were people sell the coolest things. Bath Addiction Canada, is a company which makes natural and vegan friendly bath and body products. Our products are made fresh weekly with only the best natural and organic ingredients. We do customs orders, retail and wholesale. All of our creams are made from seeds and nuts and essential oils. We carry products that your skin will thank you for using by showing great results. Because I had already tried the body butter — and because I do plan to hit Harbourfront a few more times this year — I decided to pick up something else: lemongrass and tea tree organic shea butter ($9.99 CDN). It smells fresh and citrusy (y’all know I like some citrus) and perfect for warm weather. I just read that shea butter has is SPF 6… not super strong for my naturalistas and readers who are lighter skin, but at least you know you’re getting some sun protection. If you need some skin care products (you know that shea butter will also find itself in my hair), check out a local sister doing her thing. Visit her at Harbourfront over the next few weeks or online. Guavaleaf Clothing was developed after seeing one too many low grade t-shirts displaying singular island flags. There had to be a way to celebrate all things Caribbean without inevitably leaving someone out. The answer: create a Caribbean clothing line using no flags or island names, only slogans and descriptions that are common to many. The means: use high quality, fashionable materials that reflect the richness of the culture. The result: GuavaLeaf Clothing. My sister was served a questionable looking plantain. Now, I don't know how you fry your plantain, but we usually cut them in strips or rounds. 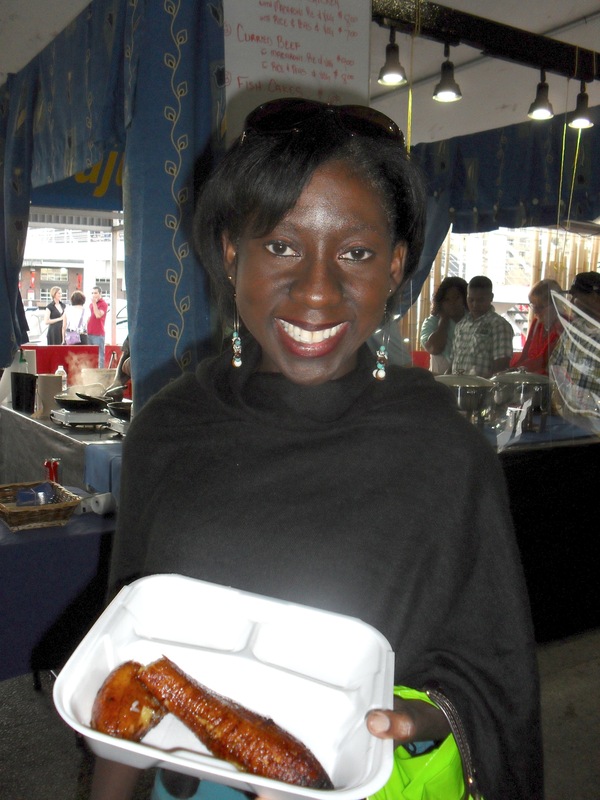 This is the first time I have ever seen the entire plantain fried... Very suspect looking. I love my adopted city. 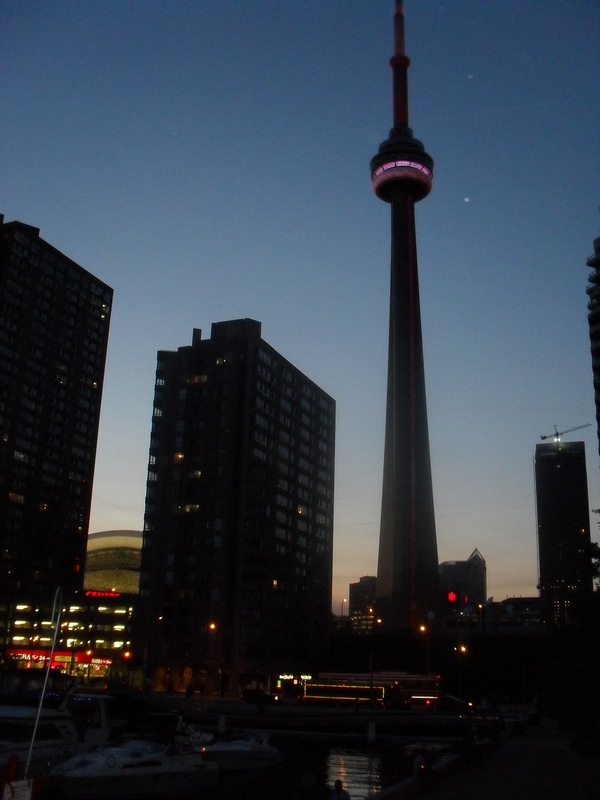 There's no place like the T-Dot. This is a hair blog, so here's the obligatory hair shot. 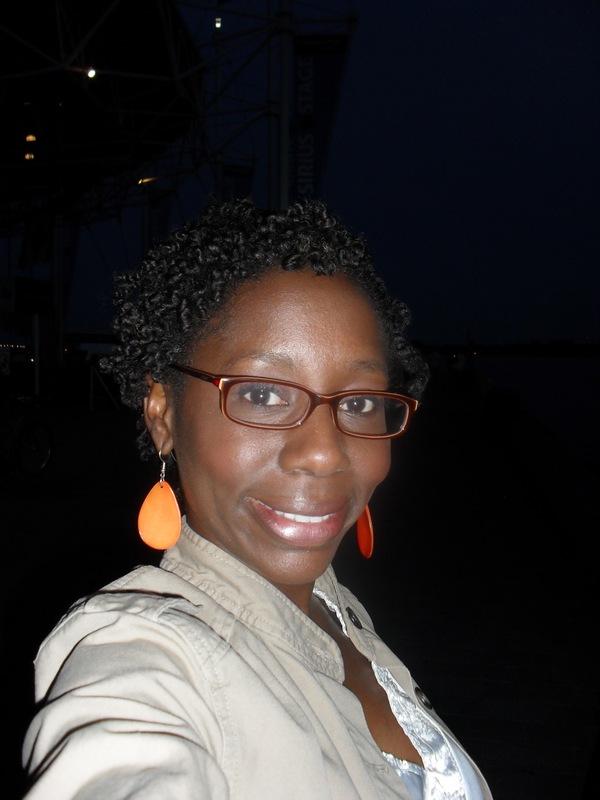 I did flat twists on one side and a two-strand twist out after setting with bantu knots. Enough blogging for today — I have a house to clean and dinner to cook for my dinner guests later tonight. Have a safe, fun, relaxing weekend, folks! Next Post Oil cleansing method: who knew? 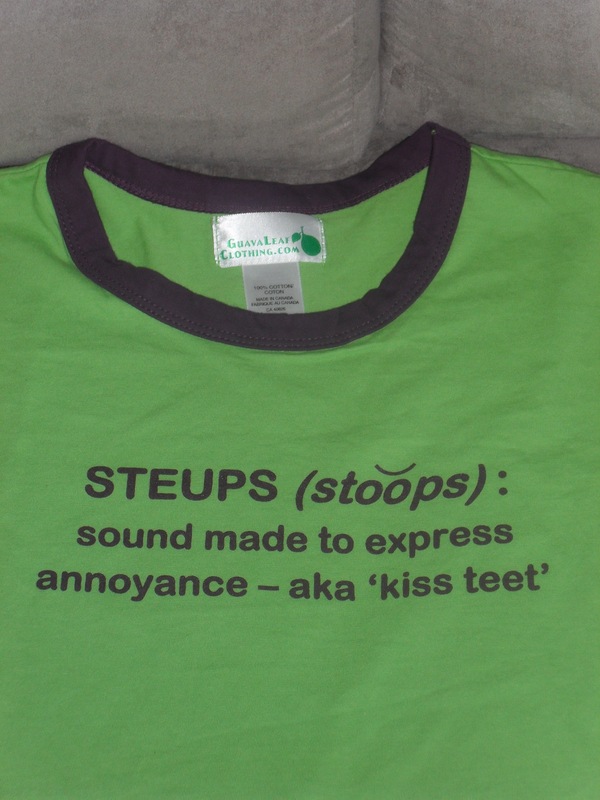 love the ‘steups’ tee. too funny. and that is definitely a questionable fry plaintain. my mom usually cuts in half and then makes thin slices and fries. That’s how my mom and I fry plantain — I don’t know about this way of frying plantain… it tasted great, but it just looked wrong.